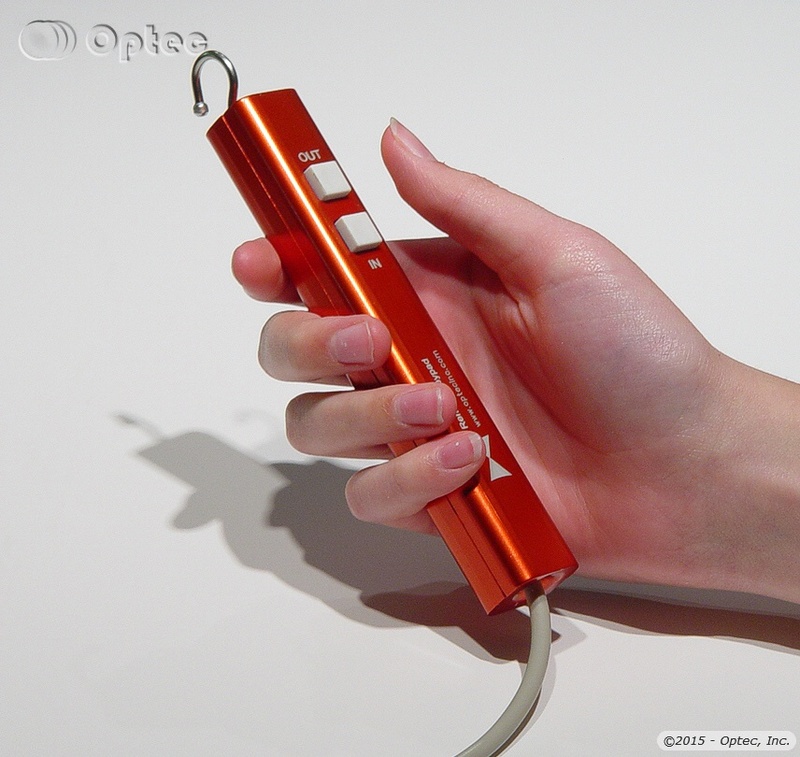 For manual control of the TCF digital focusers, Optec engineers have developed the hot-swappable Remote IN/OUT Keypad. 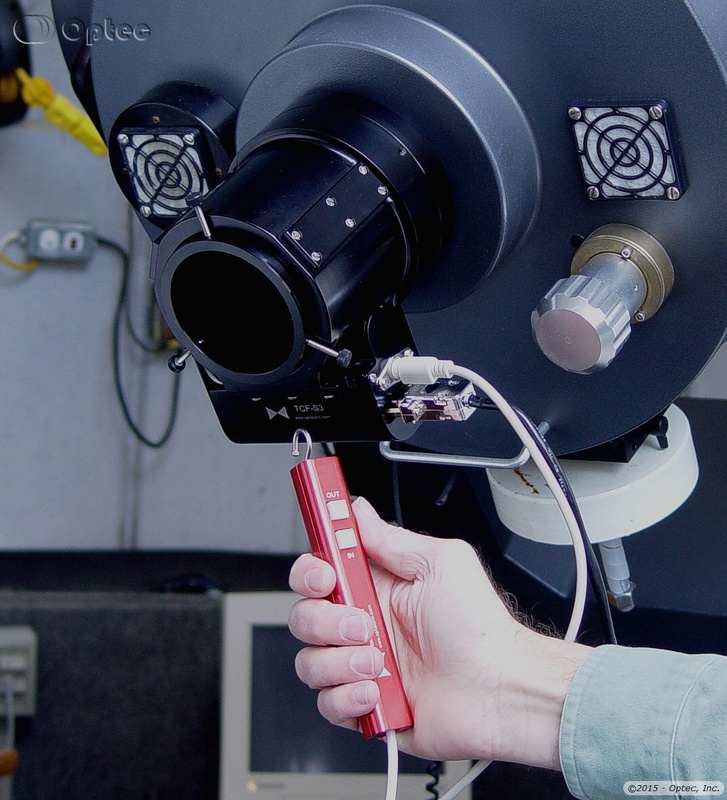 Many users find the large, original TCF-S and TCF-S3 focuser control boxes to be a bit cumbersome at the telescope. With three cables attached to the top of the electronics, the original control box can be difficult to use as a hand paddle. Most permanent installations leave the control box near the control PC or attached directly to the telescope pier or saddle plate such as when using the Paramount Mounting kit. To provide an easy-to-use manual controller, Optec offers the Remote IN/OUT Keypad for manual use at the telescope eyepiece. The Remote Keypad is compatible with older TCF-S focusers running firmware version 2.32 and later, TCF-Lynx focusers, Gemini, and any QuickSync/DirectSync motor when used with the #19539 Precision Temperature Probe kit. 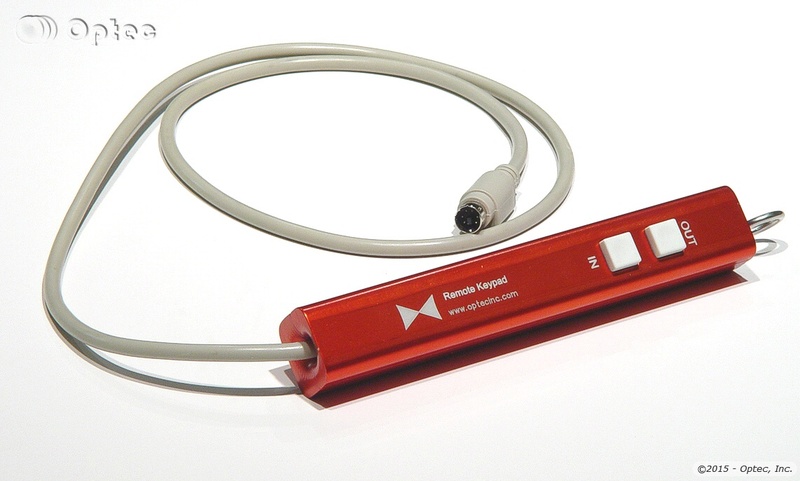 The all aluminum keypad device comes with a 3-foot cable (other lengths are optionally available) ending in a 6-pin DIN connector that plugs directly into the temperature probe socket located on the focuser body. Simply remove the temperature probe from the socket and plug in the Remote Keypad. 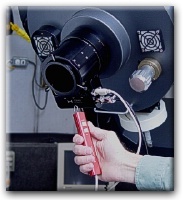 Note that neither the serial control nor auto temperature compensation modes of the TCF-S focuser are functional while the remote keypad is in use. This keypad accessory is intended for manual hand operation of the focuser only. 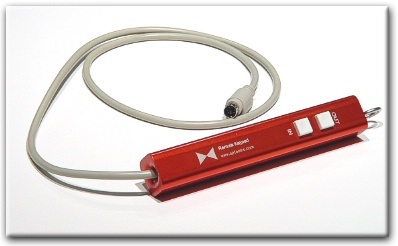 The connection is hot swappable so that the temperature probe can be plugged back in and normal TCF-S operation resumed at any time without a reboot or power cycle. The remote keypad measures 1 x 1 x 6 inches and has two pushbuttons for IN and OUT functions. A stainless steel hook allows the unit to be stored by hanging on any available handle such as the hand hold on many Meade telescopes. Older TCF-S controllers must be running firmware version 2.32 or later for compatibility with the Remote Keypad. See the TCF Firmware Update page for additional details. The Remote Keypad receives power directly from the main focuser control board. No batteries are required. Compatible with all TCF-S, TCF-Si, TCF-S3, TCF-S3i, and TCF-Lynx 2" and 3" focusers. QuickSync and DirectSync motors using the #19539 External Temperature Probe kit can also use the Remote IN/OUT Keypad successfully. Connectivity: Hot-swappable in temperature probe port. FocusLynx QuickSync and DirectSync motor using the #19539 Precision Temperature Probe kit. 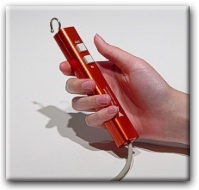 The #17680 Remote IN/OUT Keypad includes a 3-inch cable, 6-pin DIN connector and all-metal body with hook. Download the #17680 Remote IN/OUT Keypad QuickStart Guide in pdf format. Optec,Inc. © 1996, 2015 | All Rights Reserved.